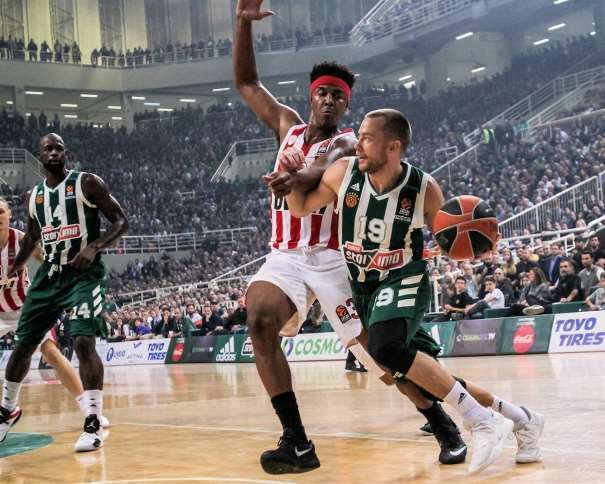 In the game of the Round 6 of the EuroLeague, Panathinaikos won 93 – 80 against their “Eternity enemy”, Olympiacos, in the Olympic Sports Center Athens (OAKA). The Other games on Friday night belonged to the guest squads: Barcelona was better than Khimki (80 – 87), Žalgiris than Budućnost (60 – 72) and Fenerbahce took the victory in Vitoria-Gasteiz against Baskonia (72 – 74). In the Greek Derby, two totally different halfs were seen. The first one belonged to the guest from Piraeus (41 – 48), while in the second one the home team took control of the game and scored its 4th victory after 6 rounds. Olympiacos now have 3 wins and 3 losses. 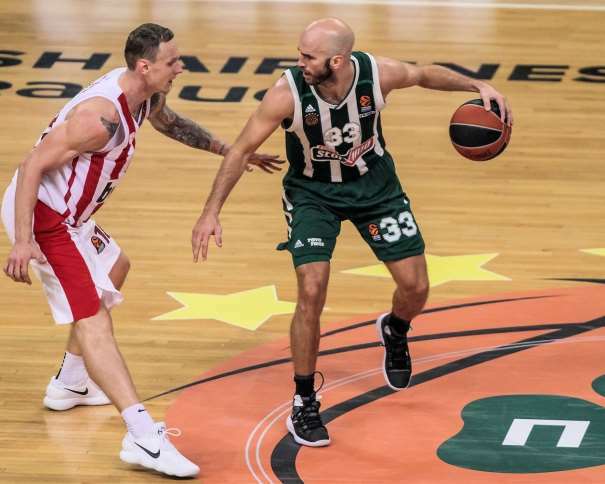 Five players in Panathinaikos had double-digit scores at the end of the match and the top one among them was Lukas Lekavicius (Lithuanian Point guard) with 17 points. Nick Calathes (PG) added 14 points, but also had 7 rebounds and same number of assists. Thanasis Antetokounmpo (Small forward) scored 12, while two players finished the game with 10 points each one: James Gist (Center – Power forward), who also had 6 rebounds, and Matt Lojeski (SF – Shooting guard from Belgium, although born in Racine, Wisconsin). In David Blatt’s squad Georgios Printezis (PF) scored 26; Janis Timma (SF), 17, and Nikola Milutinov (Serbian center), 11 points. This is the only game on Friday night, in the EuroLeague, where the home squad managed to win and celebrate with their own fans. In the other games of the night, as it was mentioned before, guests took the victories. 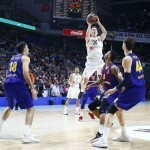 In Russia, Barcelona took the win against Khimki. 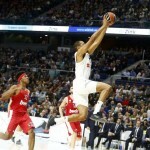 The Final score was 80 – 87 (for the ACB team). Svetislav Pešić’s squad ruined the excellent scoring night of Alexey Shwed. The Russian SG – PG scored 27 points with 6 assists, but that apparently wasn’t enough to beat a team like Barcelona. His teammate Tony Crocker (SG – SF) finished the match with 17 points. These two players was the only ones with more than 10 points for Khimki. On the other side, Barcelona had four players with 10 and more points: Thomas Huertel (PG) score 18, Ante Tomić (C) and Chris Singleton (PF – C) scored 2 points less than the French player, each one of them (16), while Víctor Claver ended the game with 10. After the first 6 rounds, only one team is without a victory and that is the squad from ABA League: Montenegrin Budućnost. This time, the better was Žalgiris. The Final score was 60 – 72. Not even 16 points of Alen Omić (C) helped the team from Podgorica to surprise Sarunas Jasikevicius and his players. The Center from Bosnia (Omić) was the only one with double-digit score in Budućnost, while for Žalgiris, Brandon Davies (C) scored 20; Antanas Kavaliauskas (PF – C), 12, and Nate Wolters (PG), 10 points. Fenerbahce managed to win for the 5th time in this EuroLeague, and now the team from Istanbul was better than Baskonia (72 – 74). As it the result saying by itself, it was a pretty tense match. Till the very end the name of the winner was unknown. The top scorer in the Turkish squad was Luigi Datome. 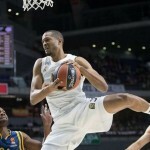 Italian SF – PF scored 16 points, while the French C – PF Joffrey Lauvergne ended the match with one point less (15). 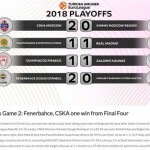 No one else in Fenerbahce had more than ten points but three players added 9 points each one: Kostas Sloukas (PG – SG), Nikola Kalinić (SF – PF) and Jan Vesely (PF – C). For the home squad, three players had double-digit score. The top one was Ilimane Diop (C) with 17 points. Tornike Shengelia (PF) added 15 and 10 points were scored by the naturalized Italian SG – SF Patricio Garino (born in Mar del Plata, República Argentina).